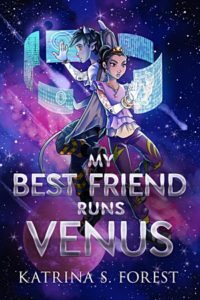 Preorders for My Best Friend Runs Venus are now available! All books are signed by the author. If desired, you may specify a reader for me to inscribe the book to. If you want a signed book only, leave the inscription field blank. Books will be shipped on or around June 1st, 2019. Please note this page is for US orders only. Contact me if you are looking to ship outside the US.